Several European countries for years have been saved from extradition and imprisonment in Russia Ahmed Chataev suspected by the Turkish authorities as an organizer of the bloody attack at the airport "Ataturk", which killed 44 people and more than 200 injured. Once it became clear that he was released 5 years ago by a court in Bulgaria, yesterday proved that similar cases in Sweden, Ukraine and Georgia also have ended with refusal of his extradition, although Moscow it is accused of terrorism and organizing illegal armed group from 1999 to 2007. The case is indicative of how underestimated the danger even with strong evidence of terrorist activities. In 2003 Chataev went to Austria, where he received political refugee status. In 2008 it was named international search. Over the years, he was arrested in series in Sweden, Ukraine, Georgia for various offenses, but each time was released under pressure from human rights activists. 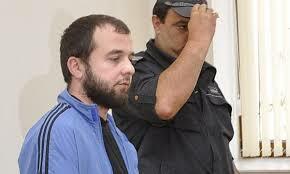 Chechen called one armed, in 2011, was arrested at home while trying to pass illegally through Kulata. "Ahmed Chataev had political refugee status and enjoy all rights as such. In the case had outstanding activity on behalf of human rights organizations," said his lawyer Veselin Georgiev before bTV. He explained that Chataev was in Bulgaria at least two months. On July 1, 2011, during a meeting in Haskovo where Chataev fallen after being caught Release from Bulgaria to Turkey, human rights organizations were very active. At the insistence of relatives of Chataev counsel informed the court in Strasbourg. From there, they sent a letter to keep them informed of the case. "In the second instance court had no word, because the prosecutor withdrew the request and the court did not rule," said another Georgiev. Haskovo Regional Court allowed the extradition of Chataev and Plovdiv Court of Appeals refused to surrender to Russia. "The request of the judicial authorities of the Russian Federation for extradition in order to realize prosecution, he is accused of helping to terrorist activity and organizing illegal armed group and his participation in it. The charge relates to the period from 1999 to October 2007, and activities of Chataev was carried out on the territory of Chechnya and Austria ", said BNR president of the district court in Haskovo Miglena Tyankova. The court in Haskovo accepts that he has been granted asylum by the Federal Office for asylum in Austria, and that has refugee status. But it can not take advantage of it because there is information that is accused of committing a serious crime before applying for asylum. Plovdiv Court of Appeals has a different opinion. According to him refugee status has extraterritorial effect to all countries that have acceded to the Convention relating to the Status of Refugees. "Bulgaria has also ratified this Convention and the court in Plovdiv accepts that there is an absolute prohibition refugee to be delivered to the country in which endangered his life and his freedom," said Judge Tyankova by BNR. Appellate Prosecutor's Office in Plovdiv also issue an opinion Chataev be released. Tyankova also told that a Chechen was detained in 2009, again at the request of Russia, this time in Vienna. And there it rejected as inadmissible the application of the Supreme Prosecutor's Office of the Russian Federation, since it was not committed crimes in Austria. According to Russian prosecutors Chataev has fallen in the group "Islamic State" and headed a gang of organizing terrorist attacks in Russia and Europe. Part of it is broken at the beginning of the year, and then Moscow authorities said they had thwarted 30 bombing. Chechen is a recruiter of fighters for "Islamic state" and is suspected of organizing the attack in Istanbul, said that day the BBC. Turkish newspapers initially declared him one of the blast was suicide, but this is not confirmed. Ahmed Chataev organized not only bombing the airport "Ataturk", but two other deadly bombings in Istanbul this year - in the heart of Istanbul's tourist district "Sultanahmet" and the main shopping street "Avenue", according to Turkish media already. Yesterday pro-government newspaper "Yeni Safak" identified Ahmed Chataev of Chechnya as the main organizer of the attack. "Hurriyet" who claims that he is even the head of the cell "Islamic state" in Istanbul. Now it is clear that in October 2015 the US and include it in the blacklist to combat terrorism because of sympathy for the groups' Imara Caucasus "and" Islamic state. " Chataev is designated by US authorities as one of the people involved in bringing terrorists to idyll. It is alleged that in January 2016 - two months after the assassination in Paris, the Russian special services warned that have information about cooked attacks in Europe by a division of "Islamic state" under the direction of Chataev. "Bulgarian authorities at the time had done what was necessary" to include the topic and Prime Minister Boyko Borisov. "What I'm concerned me is that Bulgarian authorities have done then whatever was necessary. Thereafter did not want to comment on court decisions because they are guided by conventions and international agreements. If they want to meet, society will satisfaction. But in my time, the government and its departments have done their job - they detained him, "said Borisov.